Why No Lighting is the Best Lighting Sometimes? Curiously, leaving a figure unlit is sometimes the best lighting setup you can imagine. For me, it was one of those aha! moments when I noticed that lines, shapes, silhouettes can be more interesting than the three dimensional objects themselves. 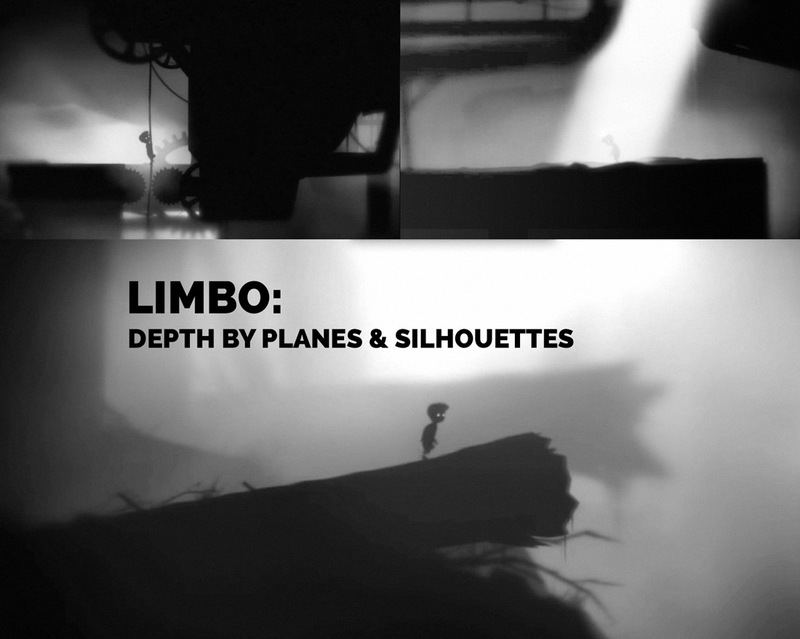 The question is: can you reset your vision, like creators of Limbo did? First of all, let me apologize for a cheap headline. Of course, without light there is no vision. What I really mean is that we can refocus our vision to see the flat silhouettes instead of three-dimensional forms. Also, that we need not illuminate every object. In astonishing amount of cases, the best thing you can do is to turn your subject into inkblot. Dark and flat. Call it two-dimensional thinking, where light = lightness. A lot of people, and I among them, look at lighting as a tool for revealing a third dimension of the art we make. There’s a fairly straightforward explanation for this: for CG artists it’s natural to emphasize the the depth and the physically-based material and light interaction. If they just drop it, then it would feel almost like they dropped their greatest strength. Meanwhile, photography and film industry were using 2D techniques like silhouette for ages. That may sound obvious, but we may as well learn to see the outlines, the contrasting shapes and the value. Sobering truth is that the ability to keep lighting simple is far more valuable, than the ability to build a multi-layered complex stack of crap. Keep it simple, stupid – viewed from my perspective, that principle could be applied to everything we do. And what a shame that I follow this advice on a rare occasion. Making art? 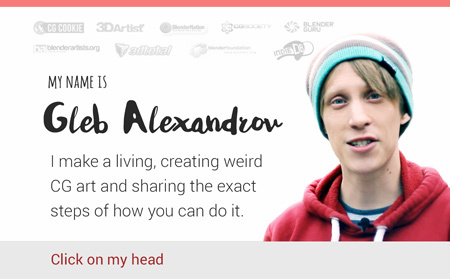 Try making it using minimalist approach. Shapes, lines, contrasting blobs – is it enough? It was one of those days when I had spent a whole lot of time on setting up the multi-layered lighting for my image just to see how terrible it became. Having come this far, I was tempted to leave everything as it is, but eventually I ended up starting from scratch. And you know? Almost no lighting for the major part of the scene was the solution. Interestingly, no lighting is also a good starting point in setting up any type of lighting. Enable one light at a time and look carefully. Maybe you will see that it’s time to stop. Have you ever played Limbo? 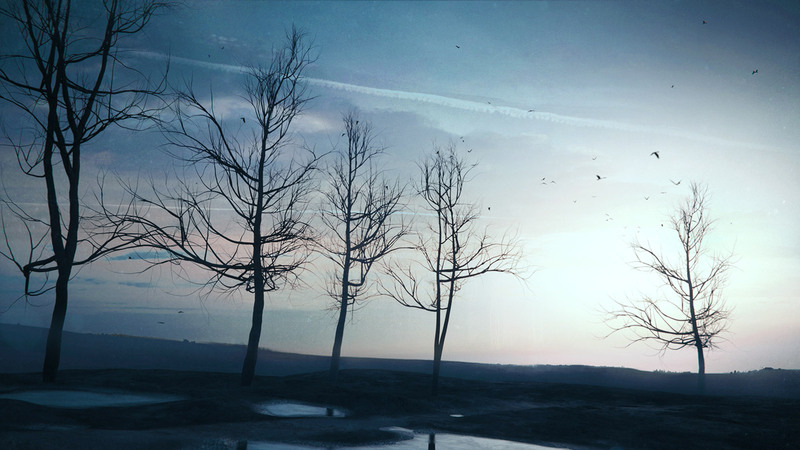 Like most games with impressive visuals, it features very well-thought use of lighting. Its aesthetics is based on the separation of the image planes, that is emphasized by a black-and-white picture. While the backdrop drowns in a grayish fog, the hero and the foreground remain pitch-black. That contrast creates a very stylized, yet visually appealing lighting situation. Ironically, when a half or the scene receives no lighting whatsoever, it still retains the impression of a 3d depth. This is pretty good evidence that the light and material interaction, and the roundness of 3D forms is not a requirement for the depth perception. Of course, by playing this awesome game you can tell that the parallax effect separates the background from the foreground as well. But that’s another story. James Elkins in a brilliant book How to Use Your Eyes describes the experiment of Wolfgang Metzer, who put volunteers in uniformly lit rooms without shadows and gradients. 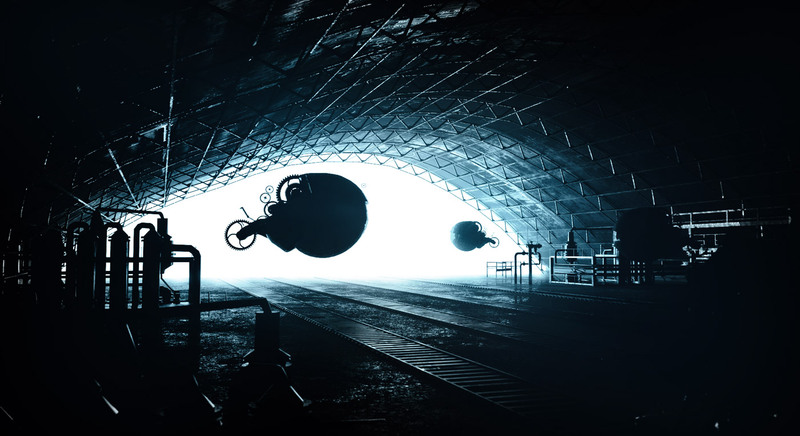 After some time spent in this dull environment, the volunteers reported strange things going on with their vision: descending darkness and “gray clouds”. Interestingly, when the brain has no information to process, it automatically shuts down the vision. This project is my way of writing a book, with your interest and support. 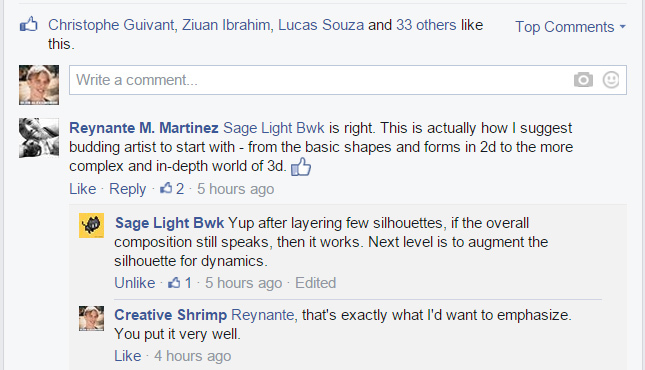 Every week I publish the tutorial, touching some aspect of digital lighting. Work in progress and other exciting stuff goes straight to social media. So be sure to like (on Facebook) and follow (on Twitter). Let’s keep it open and make this book together. Show me your silhouette render and I will gladly provide a feedback (honest, of course).